Starring; Alice Englert, Viola Davis, Emma Thompson, Emmy Rossum, Jeremy Irons, Thomas Mann and Zoey Deutch. Screenplay & Directed by Richard LaGravenese. Based on the novel “Beautiful Creatures” by Kami Garcia and Margaret Stohl. 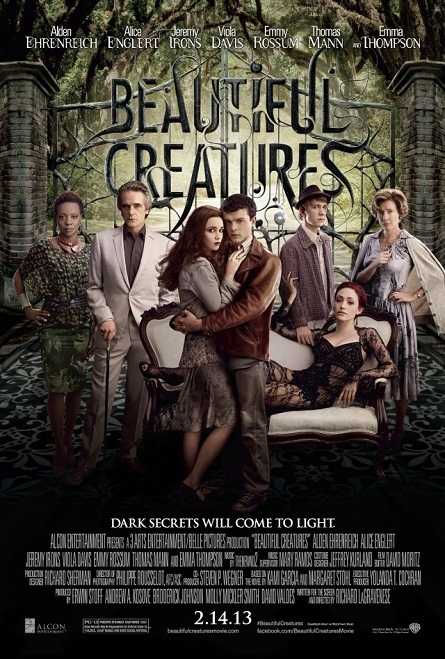 Based on the novel “Beautiful Creatures” young stars who hadn’t yet read the book series put in the hours and started reading the when they got their parts in the film adaptation directed by Richard LaGravenese. Emmy Rossum who plays Ridley Duchannes, said that the “Beautiful Creatures” story is narrated from a man’s point-of-view. “He is in love with a woman who has all this power.” Audiences get to see a role reversal. The women in this film are more powerful than the men. For Zoey Deutch (Emily Asher), she said for her character she “gets to ruin fake relationships instead of real ones.” She said that she pulled from “real people in my life who were mean to me.” She said it appears that those people were in her life for a reason now. Zoey said she “can see the light at the end of the tunnel.” She describes her character as “spoiled and closed-minded.” Contrary to popular belief, she experienced that blondes do NOT have more fun when she had to be blonde for her role. Zoey said people were mean to her. Thomas Mann said his acting career started in Dallas, Texas when he was cast in a “Super-Soaker” commercial. After staying with a friend in L.A. he got his first movie. 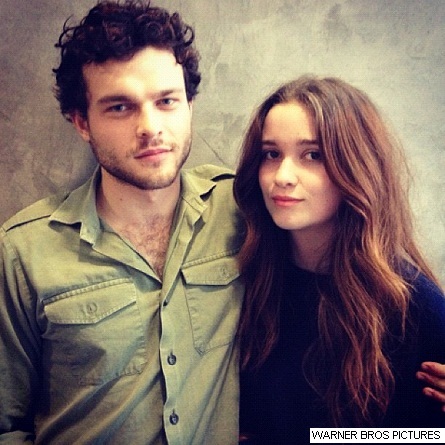 “Beautiful Creatures” opens in theaters on Thursday, February 14, 2013.